Bold bright colors like fuchsia, coral, and berry tones are all the rage nowadays. We've seen celebrities rocking this trend on the red carpet for a while now, but now that the temps are heating up - it's starting to really pick up! I took the plunge and bought a bold bright lipstick! 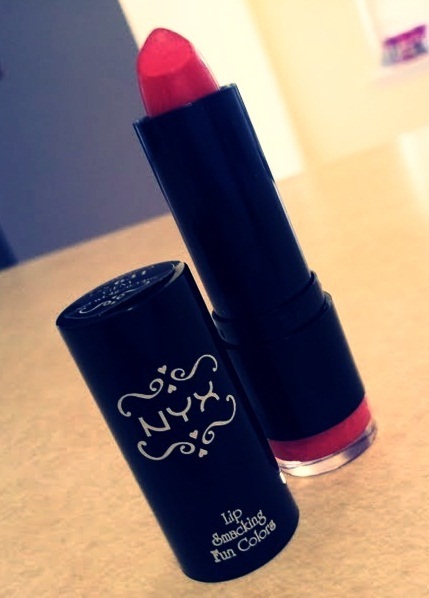 I chose NYX's Gem to test the waters and see if I would like it, but to my surprise - I didn't like it - I LOVED IT! Now, I'm definitely on board with this trend. It's such a fun way to not only brighten up your face, but your entire outfit!. In fact, I think I'm gonna go for a bright fuchsia next time. 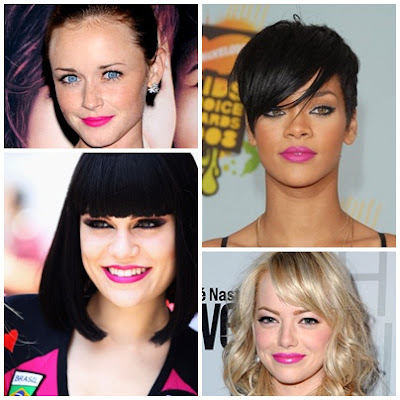 What do you think- Are you a fan of the bright lip trend? I love the bright lip trend! It just brightens up the face!